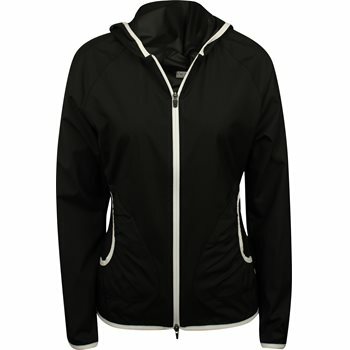 The Puma Zephyr Jacket is perfect for windy, drizzly days on the golf course. The hood will protect your head from the rain, WindCell technology provides wind protection to keep you warm, and DWR technology provides water resistance so your clothing remains dry. The jacket is designed with a full zip placket for closure adjustability and gathered pockets for golf accessories. Additional design details include color contrast on the pockets, zipper and hoodie; cuff binding; and a Puma cat at the left cuff.